I have been oily since 2015! My teaching job, my 3 boys and husband keep my schedule super busy, but I wouldn’t trade it for anything! 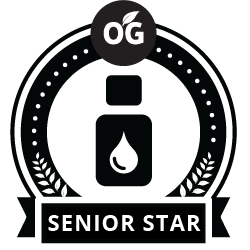 After losing my mom to ovarian cancer on May 8, 2017, I have had a burning desire to share with the world how Young Living oils help support me with grief, and educate others about cancer causing toxins and chemicals lurking in our environment. My family and I strive to live a healthy, oily life! Although, I am still learning everyday, I am committed to be the best me! We cold-press Grapefruit essential oil from the peels of the fresh fruit for a citrusy oil with the bright aroma of a grapefruit orchard. It’s this sweet, invigorating aroma that members enjoy for its ability to encourage feelings of joy, satisfaction, and playfulness. Not only is Grapefruit oil perfect for diffusing, but it’s also a great addition to DIY skin care products from lotions to bath salts. Get creative and combine it in a salt body scrub with other skin-toning oils such as Lemon and Juniper for a simple home spa experience that gives your skin a smooth-looking glow. Grapefruit essential oil is a key ingredient in popular Young Living products such as Cel-Lite Magic™ Massage Oil, Highest Potential™, and Citrus Fresh™. Want to learn more? Contact Joy Williams — A College Stattion Young Living essential oils distributor.